Studio A is NSW’s only supported studio for professional artists with intellectual disability. 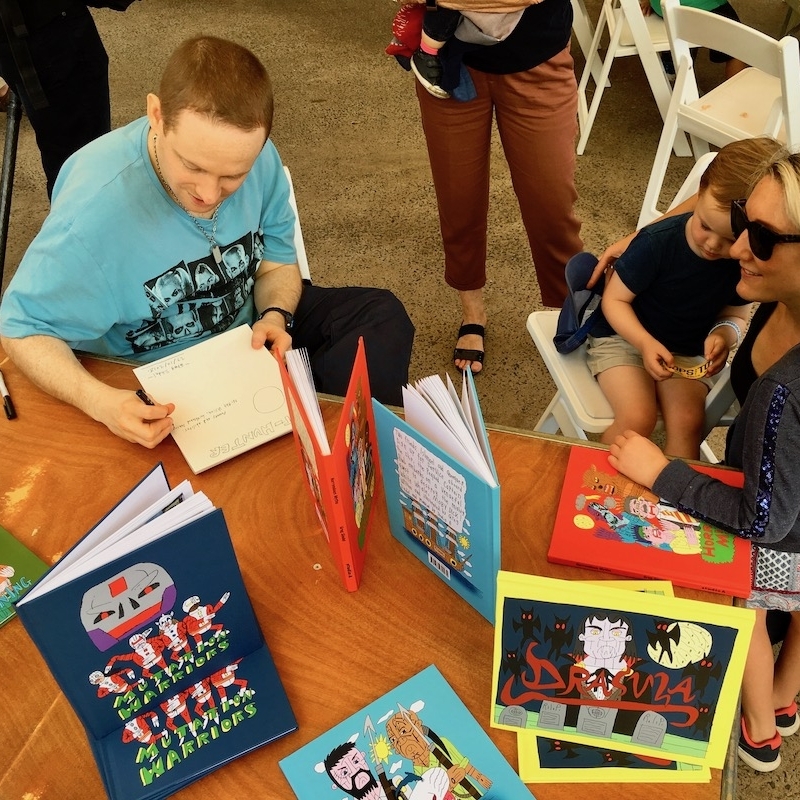 The enterprise tackles barriers that artists living with intellectual disability face in accessing conventional education and professional development pathways needed to be successful and renowned visual artists. 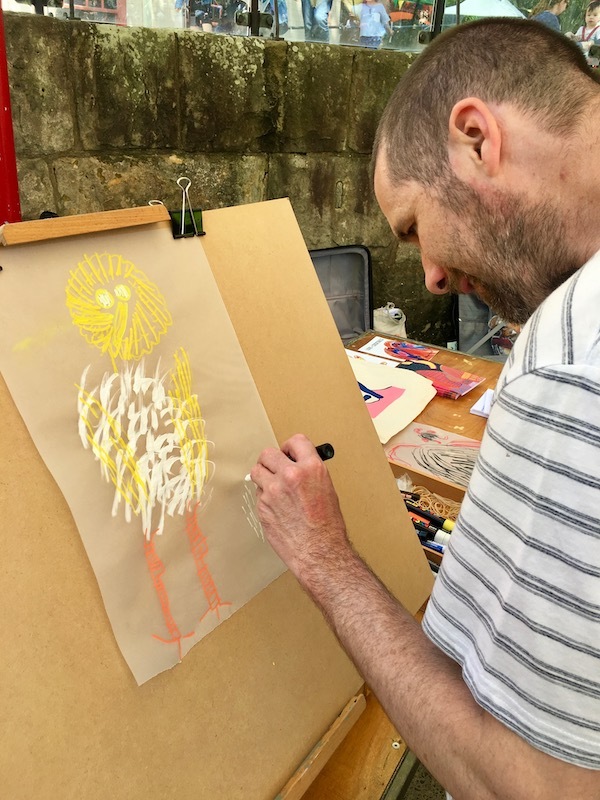 When you collaborate, commission and buy art from Studio A, you employ an artist with intellectual disability and ensure Australia’s cultural life includes diverse voices. Emily Crockford’s 39 metre mural commissioned for Westpac Concord Office, October 2018. Studio A collaborated with internationally esteemed ceramic designers mud Australia, to create a range of ornaments and platters as well as crockery to be used in birdfoxmonster. 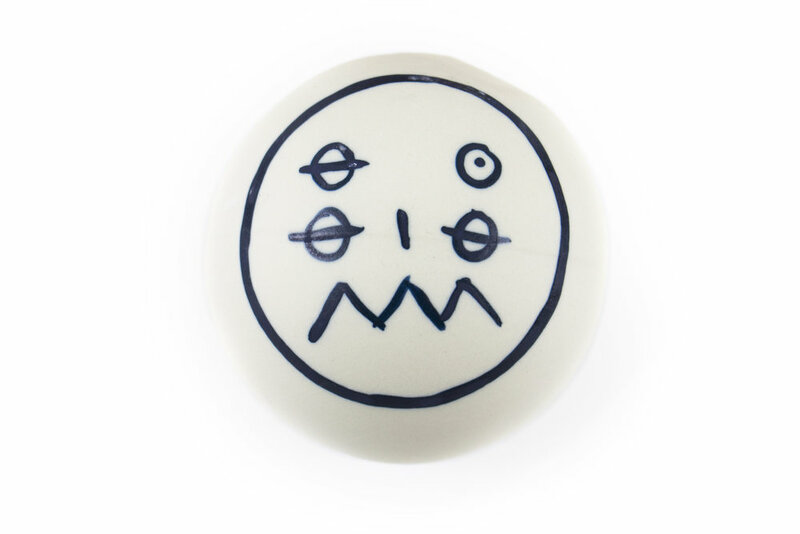 Studio A artists, Thom Roberts, Meagan Pelham and Skye Saxon created original artwork on mud Australia’s iconic ceramic-ware - marking the first time that mud Australia has ever included pattern or design on their traditionally minimal and subtly coloured wares. A series of Australian animal masks created by the Studio A Props Collective were commissioned by director Thomas Avery to be worn by actors in an upcoming film project, November 2018. Studio A deliver creative experiences that are about much more than just looking at art. We are passionate about the weird and wonderful, Studio A celebrate our artists’ diverse experience of the world and use creativity to invite audiences into new and refreshing encounters with the familiar. 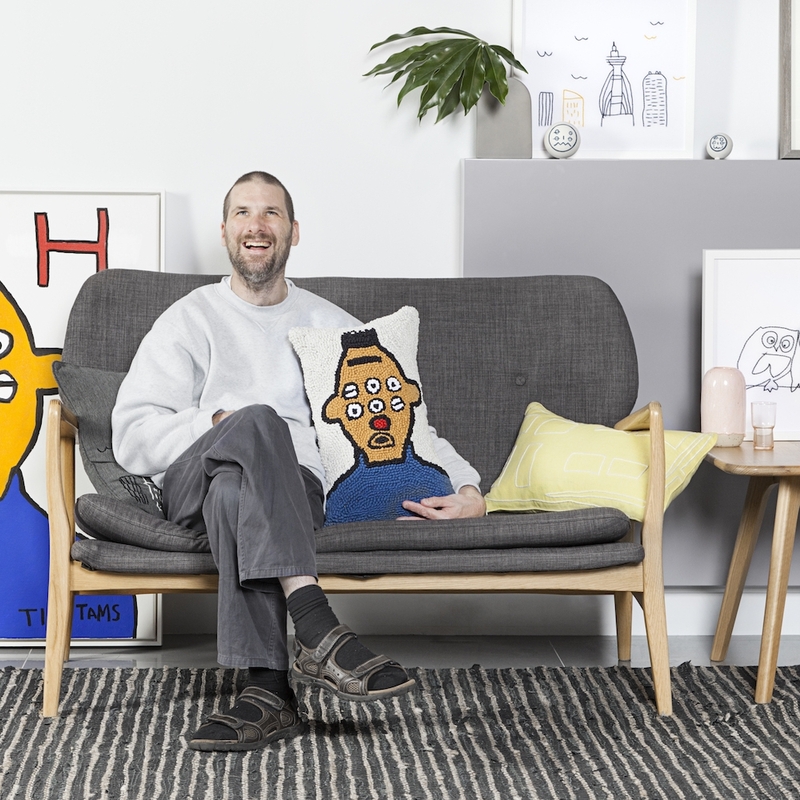 Thom Roberts is fascinated with and reads peoples crowns (the spiral where your hair grows from) and draws the animals and creatures he perceives as residing in subjects’ crowns. "Thom Roberts’ crown reading provides one compelling example of an alternative form of communication being opened up between artist and audience, one that has a very different quality to the visual expression that may or may not be enacted by an object on a wall. What makes it so compelling to me is the metaphorical potential of this act – of reaching out to another person, whether friend or stranger, and making contact, hand to head. In the end, that may be the closest any of us can get to approaching the mystery that is the consciousness of another human being." Fall in love with Studio A’s very own Owl Love Bride Meagan Pelham as she predicts your romantic fortune, part of her performance piece as the Love Poem Sorceress. Greg Sindel is an established graphic novelist. In collaboration with the subject Greg deciphers their inner superhero, villian or anti-hero as he literally draws out their comic alter-ego. Emily Crockford is a Studio A artist. She is supported by Studio A because she has Down syndrome. In the past 12 months, as a result of the support of Studio A, Emily's career has sky-rocketed. She received a $12,000 commission from the City of Sydney to develop an artwork that appeared on countless construction hoardings around Sydney; she exhibited a major installation for the inaugural opening of Sydney contemporary art institution, Cement Fondu; and she received a significant commission from Westpac to create a large mural in their refurbished West Concord centre. Emily says of her achievements: "At Studio A my art has gone good good good good. Since coming to Studio A I feel like a gold star genius. I love meeting new artists through the program. Making art makes me feel like rainbow colours, like I am an adventurer." As a result of Emily's involvement at Studio A, we have contributed to her increased self esteem, increased aspirations for the future, broader social networks and a sense of belonging, increased financial security and improved mental health. Importantly, Emily is just one of fifteen artists with disability who we are helping to achieve all of these things.